Are you an entrepreneur? Not everyone is, and that's fine. The world needs entrepreneurs, managers and worker bees, but determining the category that you actually fall in can help make your life more successful. Remember that an entrepreneur is a risk taker and a builder who rejects the commonly accepted idea of security in a paycheck signed by someone else. The entrepreneur is the one who signs the paychecks for others, and has the self-confidence to take the risks necessary to build the business that provides the jobs for others. The entrepreneur must be creative, hard working, smart working, persistent, motivated, full of stamina, dedicated, energetic and able to direct the efforts of others. He must be able to delegate duties, train personnel, be affable with all, and enjoy his time spent. The entrepreneur must be, above all, confident in his own abilities, and it must not be blind overconfidence, but confidence in himself as a competent individual. These qualities hold true of many people who are not entrepreneurs. Many company middle managers, for instance. But the quality that truly sets the entrepreneur apart from all of the others is that the entrepreneur is willing to place his time, money and very life at risk for a dream that he is creating. In that sense the modern entrepreneur is the equivalent of the pioneer farmers and ranchers of the American frontier, the entrepreneurs of their days. And of the shopkeepers and merchants who went west, and the prospectors of the California gold rush. Today's entrepreneurs are the under appreciated creators of jobs for other people, and comprise the fastest growing part of the American economy. It is the small business entrepreneur who drives the economy and makes it possible for everyone to make a living, pay taxes, support charities and contribute to the American way of life. Jeff Wise has been self employed for more than twenty five years, owning businesses as diverse as retail clothing to Internet consulting. His Web Site Master-of-My-Fate.com is a comprehensive article repository for people looking to find, to buy, or begin a new business. execute them in tandem, wagering that at least one plan will get traction. fools of themselves, knowingthat long-term success is a good trade for short-term loss of dignity. 8-Wanna-be's shield their precious ideas from harsh reality, postponing the verdict of success or failure until 'someday. 'Entrepreneurs expose their ideas to cold reality as soon as reasonably possible. 9-Wanna-be's put off practicing basketball until they've got Air Jordans. Entrepreneurs practice barefoot behind the garage. A popular work option in today's marketplace is becoming an Entrepreneur. If you want to begin a new venture or start a small business you are not alone. According to the latest Federal data, there are 24,653,098 small businesses in the United States. The reasons to start your own business are as varied as the options for what your business will be. You may have a need to be and work independent, have a desire to turn a hobby into your profession, or the love of a challenge of making it on your own. Other reasons are in response to external factors such as being laid off, frustration with their current workplace or other employees, or a need to create a better work-life balance. It is important for you to realize that what you decide today will effect your business months and years from now. When you make a decision what are the short-term or immediate effects of doing so? When you make that same decision what are the long term effects on your business? 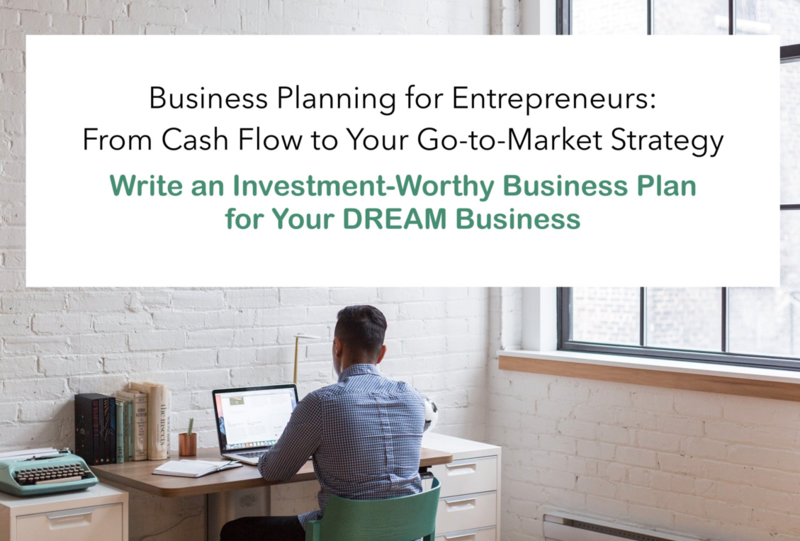 An Entrepreneur must be someone who thinks beyond the present and can make decisions and plans that will keep your business vibrant for years. The statistics for starting a small business are not a positive figure. Only approximately 30 percent of business start-ups survive more than five years. The overnight success stories have been replaced by the hardworking, determined, visionary who dedicates long hours and endless energy to his or her business. This is the realistic picture of today's Entrepreneur. How to come up with new venture ideas. The failure resume is an introspective exercise that helps develop an optimistic attitude towards failure. While successful entrepreneurs manage risks well, all entrepreneurs need the ability to accept failure. Highlight your personal failures and what you learned from them. Alternative ways of accomplishing what you failed at is a powerful way to generate new venture ideas. To avoid becoming a casualty of the small business 'flash in the pan', it's critical to be able to set goals. Without goals there are no benchmarks for you to achieve and no roadmap for you to follow. To set achievable goals you need information about your customers, industry, regulations, etc. The best way to set goals is to gather information and compile it in to a working document. This is called a marketing plan. A marketing plan will be the road map you use on a daily basis to achieve each goal. A large consideration when starting a business will be how flexible you can be. The world never stays the same and as a business owner, you will need to adjust your plans and goals as appropriate. Typical characteristic of a person who would successful as an Entrepreneur.- Acceptance of responsibility: Are morally, legally, and mentally accountable for their ventures. Some entrepreneurs may be driven more by altruism than by self-interest. Owning a business has become the twenty-first century version of the great American dream. Do you have what it takes to start a business and run it successfully. Answer these questions to help you decide. 1.) There will be long hours and sacrifices needed to be made along the way. Are you willing to work through those to get your business up and running? 2.) Can you be responsible to make all the decisions for your business and bear the responsibility for wrong ones made along the way? 3.) Are you a self starter who can do what is needed, when it is needed, without any input from others? 4.) Can you be the owner, salesperson, marketer, and PR person all at one time, and do it well? 5.) Are you willing to learn from your mistakes? (You will make plenty of them.) It is wise not to give up your regular job when you start your own business. Wait until you have your goals and plan in place and regular work or clients onboard. Get money coming in before you quit your job. Do not be disillusioned by the thought of everything involved in starting your own business. Being an Entrepreneur will give you the independence and the chance to be in control of your work/life balance. The job description for being an Entrepreneur is in your mind. It requires creativity, being able to set goals, and a willingness to work very hard to accomplish those goals. Toni Grundstrom's expertise is in Marketing. She advocates for, informs and educates people who are entrepreneurs, telecommute, work at home, or own a home based business. I pray for continued clarity of purpose so that I may hold my vision steady and keep my focus on the needs and success of others, which in turn shall bring me my success. I pray for the wisdom to expect abundance in my life, that it surrounds me and is available for the taking and to be shameless and unapologetic upon its receipt, for I deserve abundance. I pray for a cheerful countenance, be it clear or cloudy skies and that I may radiate and infect others with my positive attitude. I pray for the trust of others that they may recognize my sincerity and true intentions so that we may move forward together. I pray for the strength to fend off adversity and use my desire and determination as both weapon and shield. I pray for the courage to carry forth my convictions during the battle of business and to resist temptation to a quicker monetary result when such temptation compromises these things for which I stand. I pray that I may be used as a lightning rod to collect the amazing ideas already present in the universe and when blessed with such inspiration, that I may be able to apply my talents and abilities to turn the power of thought into measurable advancement of my goals. I pray to retain my childhood wonder so that I can recognize and revel in the small miracles of each day that others may miss. I pray for an infinite supply of self-confidence for it alone fortifies faith, strengthens my resolve and conquers the largest enemy I will ever face - fear. I pray for a compassionate spirit and the patience to offer those who seek my advice and my help, my full and undivided attention. I pray for good health and a feeling of well being, and the continued desire to improve those areas of my physical life I may be neglecting in the name of my spiritual and entrepreneurial advancement. I pray that today is a day of excellence and at its conclusion I can acknowledge and be grateful for the forward motion I have made and the growth I have experienced. I pray most of all for the understanding and support of those closest to my heart, my family, that they will equate what may seem like endless hours of apparent pre-occupation with affairs of business to what is at the very core of my being, that which drives me, for once I achieve what I have set out in its fullest, I will become that more complete being I strive to be. It is for these things that I pray, for I am an entrepreneur.